Using this information, we have discovered how the ocean environment that these clams live in has changed . And we now have the first precisely dated, annually resolved, record of North Atlantic ocean variability covering the entire last millennium, allowing scientists to examine the timing of past changes in the marine environment relative to those in the atmosphere. 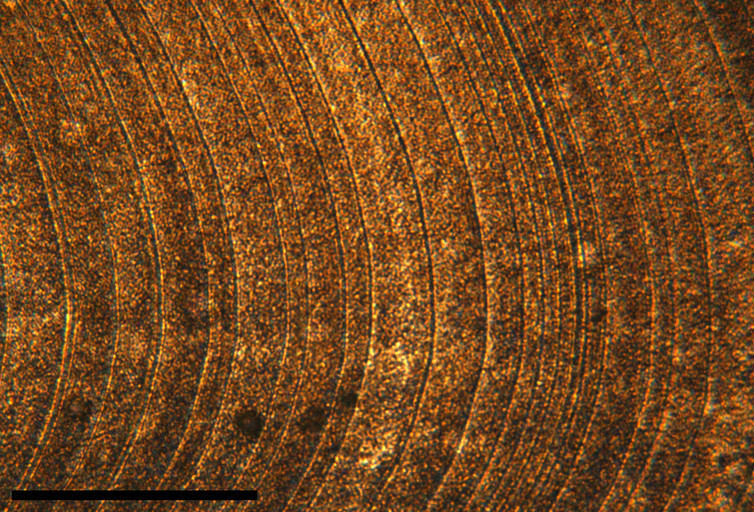 Looking further back in time, the oxygen isotopes record developed from the clam shells shows marked changes in the climate over the past 1,000 or so years. During the last millennium, volcanic eruptions, the power of the sun (solar irradiance) and human industrial activity all played a significant role in driving the conditions in the North Atlantic. In addition, our research found that the North Atlantic probably played an important role in the switch from the relatively warm conditions of the medieval climate anomaly (from about AD 1000 to 1400) into the cooler conditions of the “ Little Ice Age ” from about AD 1450 to 1850). Between 1000 and 1800, changes in the North Atlantic – brought about by solar irradiance , gases being expelled into the atmosphere from volcanoes and changes in air circulation – were fed back into the atmosphere. This influenced the temperature of the atmosphere then, and means that the North Atlantic ocean was playing an active role in influencing atmospheric air temperatures.